Thankfully, we have learnt not to judge books by their covers. 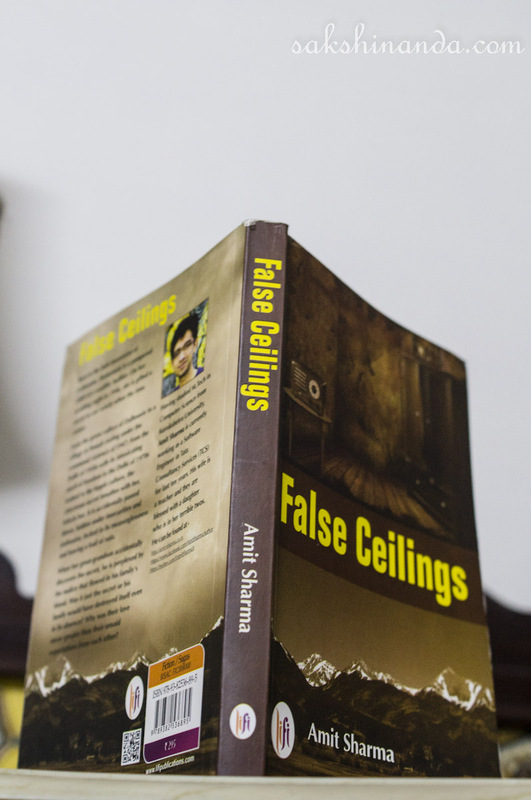 Otherwise, Amit Sharma’s novel False Ceilings would find few takers. The different shades of brown do dull justice to this saga and its long complicated series of related events spread across an even longer period of time – from pre-Independence India to many decades into the future. But then, that’s just the picture! The question is, has Amit managed to do justice to the grand premise he based his book on, in its creation and execution? I say grand because the blurb emphatically promises mystery, changing histories and new geographies. It also hints at some destructive secret ‘accidentally’ passed down many generations in the family that he has written about. ‘False Ceilings’ begins well! ‘Wasn’t the If-Else statement also an artistic code to life?’ asks Aaryan, a central character, drawing the reader in instantly. In the next line we are informed when this ‘magnanimously directionless’ man will die, after scribbling the If-Else verse on a coarse white sheet. Weren’t we just getting introduced? And what sheet? The chapter proceeds and so do we, to year 2060, where we meet Lipi and the Almirah, both as if living with a ‘fine spray of sadness’. The past is a constant presence and many enigmatic references to it keep us trying to prematurely connect dots which are still hazy. We want to know more already! In just 10 pages all elements of ‘False Ceilings’ come through. We sense suspense and see mysterious objects. We notice how the context is spread across ages and we are introduced to two main of the many characters in the book, struggling to reconcile what’s gone, what is and what could be. The stage is set! As you read on an impatience seeps in. There could be two reasons. One, because Amit has commendably kept the mystery from revealing itself and you are itching to reach a point where you successfully guess what’s hidden in the yellow cloth. Or two, because of the expectancy generated by point one (and the blurb, and chapter 1, and the trailer) the narration starts seeming too full of irrelevant details digressing from the main plot-line of mystery and into the mundane domain of domesticity. And then it hits you! The creation of mystery is but a ruse to make you read a story that contains so many of our stories within it – of families, our lives, our insecurities, our deeds-misdeeds, our false ceilings of hope and expectations, our despair, our reactions, our loves, our losses and finally our goodbyes. It is then that you stop chewing your nails in bated anticipation of the wooden Almirah showing you the secret package, and fully realize what makes ‘False Ceilings’ what it is. The complex plot is delivered rather cleverly. The reader is made to jump (in not so straight lines) between Flashbacks and Flashforwards such that neither the meticulous arrangement of the sequence of the stories nor the neat tying up of various threads at the end is compromised. This deft arrangement grips the reader in an experience where she is continuously being challenged to draw the family tree to know son from father and daughter from grandmother. This guesswork continues right till the end of the book, where the character names are revealed so matter-of-factly that you cannot but commend Amit for the nonchalant style of revelation. Almost as if he worked hard to first confuse, then challenge and then tease the reader with a ‘pay attention or you miss it!’ style. What adds to the narration is the hold of suspense, a grip which does slacken to get lost in the main events of the family drama, but never dies. The Almirah is like an important character in the book, a mute one but which ‘had a life and mind of its own’ and with ‘a cursed secret’ that is to be kept safe and used wisely. Everything about it is either mysterious or deadly, and Amit makes sure we remember that! There is a whiff of the ominous throughout the book too, in the sudden appearance of peacocks and white owls, inexplicable behavior and deaths, apparitions and coincidences. Lots and lots of coincidences. How ‘Delhi was always leaping into (Shakuntala’s) existence’. How ‘it’s strange that everything gets concentrated in one place’, Dalhousie. And how, eventually, different characters start reflecting similar thoughts, merging into each other even when generations apart, with not just personality traits but family events repeating themselves too! At the core of ‘False Ceilings’, then, is the human drama of ‘life’ that Aaryan sees reflected in the If-Else statements – of ‘decisions, lost opportunities, frustrations, happiness and complications.’ You will meet characters with real personalities, etched in utmost detail. One ‘dreams with open eyes’. Another loses herself in a crowd like the man who was ‘blending with the furniture at an alarming rate’. There are grandchildren cunningly being ‘spoilt silly’ by their grandmother and daughters-in-law never becoming daughters. A young man questions ‘do people really grow up?’ while an old man window-shops for death. There is a constant sense of people “becoming” as time passes, as the daily ordeals shape them into newer moulds or newer roles, ultimately making them into people who cannot express contentment, cannot shed their ‘disconcerted detachment’ with their families and yet cannot stop aspiring for a better life of … love. Bleak, but true! However, as we see each generation subconsciously becoming like the previous one in all its follies and middle-class glories, the story which seemed a loyal reflection of reality-as-we-know-it starts seeming somewhat repetitive. It is here that this family saga starts losing out on some of its novelty. If it wasn’t for the element of mystery binding the book, the incidents per se would run the risk of bordering on the stereotypical. The book is strong on context, placing characters in varied geographies drawn to the tee, from Dalhousie of the 1920s to a future where soups are made by ‘mixing capsules’. Amit seems to have researched the past well and imagined the future plausibly in order to document the flux of time and the passing of ages, an idea central to a saga. References to real historical events are used to map time too. The role of history in the book is thought-provoking. Some characters change geographies because of history and an important character permanently becomes neurotic (a tad implausible?) while watching riots at 5 years of age. Even the creation of the ‘secret’ is thanks to an epical event. The feel of a saga is unmistakable, even though the merging of many decades of history seamlessly with the story is not perfect. In some places those historical references look like an attempt to add grandeur to the characters’ background and motivations but by now we have fully seen how their lives are actually unfolding within their homes; not so much touched by the ‘stench of terror’ outside as driven by their own human follies residing inside. Re-acquainting readers, over many paragraphs, about the Freedom Struggle, for instance, sags suspense too, though thankfully only in the first half of the book! A mature book within which you may find your own story. Be aware that within it you may find your own false ceiling too! 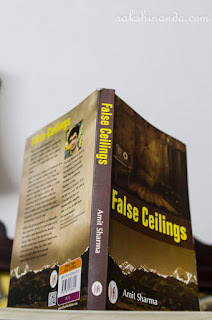 'False Ceilings' by Amit Sharma is published by LiFi Publishers, 2016. A "thinking" reader's book, clearly. As you say so well, as he opens the various tranches of this saga, the reader may discover their own false ceilings within. 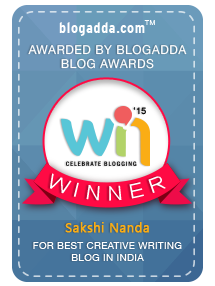 Congratulations to you too, for contributing to Amit Sharma's book. An exhaustive review Sakshi, as always. I read the book. Indeed a mature story that takes the reader on a journey spanning generations. What an amazing book! Thank you for this review now to free some time for it I will order custom coursework help on GoHunters website. Hope it is worthy of the "false ceiling". By the way do you have something similar in mind just in case I would fall in love with this book?